We believe God instituted marriage for His purposes and for our good. It is a great gift of God to men and women and we hope that you will come to experience how good it can be. We trust that being married at St Peters Anglican Church will be a treasured foundation to a long, fruitful and fulfilling married life. What is involved in a wedding at St Peters? Secondly, come along to church one Sunday at 10am and make yourself know to the minister Andrew Bruce, he’ll have a brief chat with you , and make a time to meet and talk in greater depth during the week. Thirdly, couples will need to set aside three occasions to meet with the minister prior to the wedding to cover the ‘prepare and enrich course’. Fourthly, there will be one wedding practice in the week prior to wedding to ensure everyone and everything knows and fulfills their job on the day. What Costs are involved for the wedding? 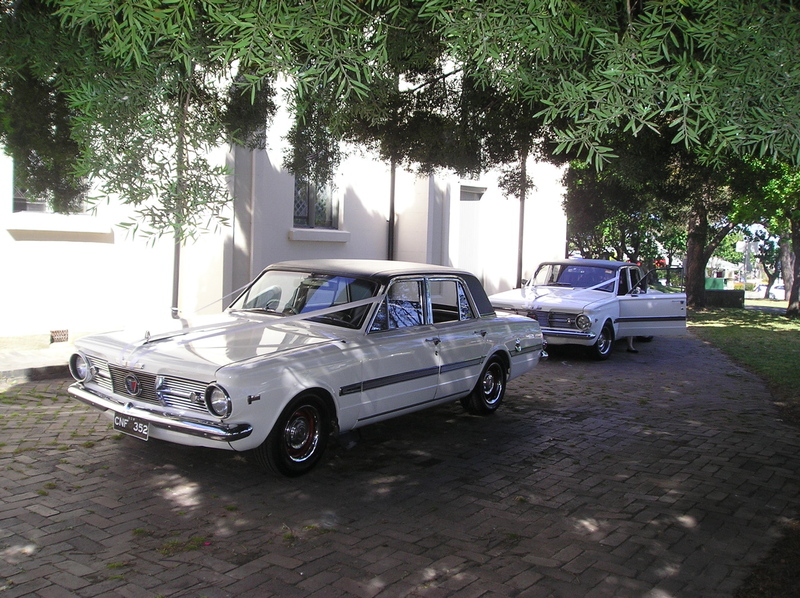 The basic cost of a wedding at St Peters is $1,000. This includes a $100 deposit. This fee covers the costs of the hire of the church and surrounding grounds, the cost of the minister and the ‘prepare and enrich’ marriage course. It also covers the cost of a verger who will ensure the property is arranged in the appropriate fashion before the wedding and reset the furniture after the wedding, including the removal of any ribbons or flowers. It is possible for us to arrange an organist to play during the ceremony on our 1883 Brindley and Foster Organ if we have sufficiently early notice. This would incur an additional fee. What service vows will be used? We are an Anglican church and so we use the Marriage service from ‘An Australian Prayer Book (1978)’. Minor variations are possible but only in consultation with the Minister conducting the marriage. 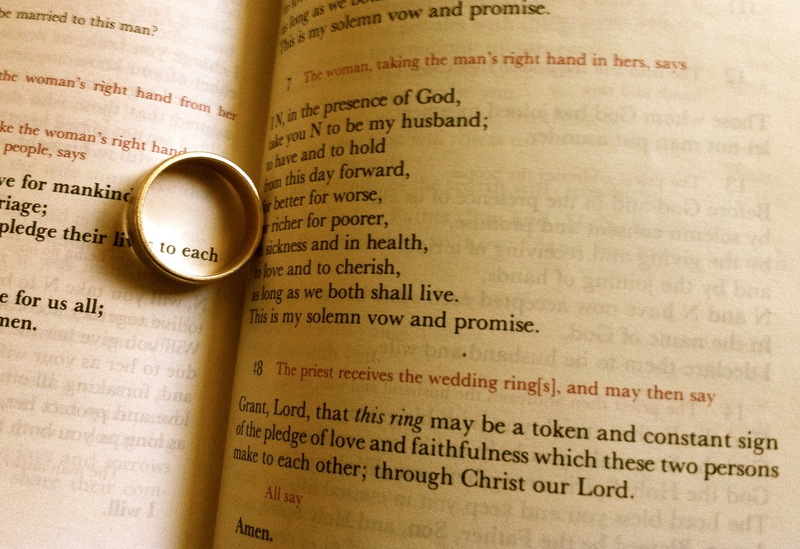 These vows are based upon the marriage service in the book of common prayer 1662. We offer a number of options. You can hire your own musicians, the grand piano and PA is available for use during the service for musicians of appropriate ability. We also offer the option of an organist to play for your wedding at an additional cost. Alternatively, you may wish to provide music on an iPhone or iPod. Please keep in mind that this is a Christian service in a Christian church, and the minister has to agree to any choice of music that is to be played during the service. Approximately 45 minutes depending on the amount of music within the service, however it is best to allow a full hour. The church is opened 1 hour prior to your ceremony and is kept open for half an hour after the ceremony. It is possible to have access at other times by arrangement. 100 easily with a clear view, 140 comfortably, 200 at a squeeze which includes using the balcony. Do you produce the Order of Service for us? No, we will provide you with and electronic version of the service and you will need to create the order of service and have them printed yourself. Please remember to include the full text of each bible reading (including verse numbers) and if the text you chose is prose it should be formatted as such. If you have any questions about this please ask the minister who is marrying you. There is a large area available for car parking on the site. Only if your minister is ordained in the Anglican Church, and only after permission is granted by the Rector, Rev. Andrew Bruce. Do we need to pay the minister or give him a gift? No you do not. All costs for the wedding are covered in the basic fee. Do we need to invite the minister to the reception? No you do not. The minister doesn’t expect to be invited to the wedding reception. We request that your guests do not throw confetti or rice either on church property or on the street. This is a safety and littering issue and we appreciate your co-operation. What are the rules regarding decorating the church? All decorations must be agreed to by the church and you must arrange to have them removed after the ceremony. Is flash photography allowed? Is it ok to video the ceremony? Yes, but please ask your photographer to be respectful during the wedding, keeping in mind it is a Christian Service. Videographers will need to supply their own microphone, which the minister is happy to wear.